Of course we need a devolution of powers away from Whitehall and into the County. But this should not just be a grab for powers. We should also carry our constituents with us and remind ourselves that we are doing this for their benefit and not for ours. 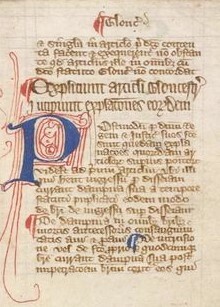 In 2011, the people of Babergh were given the choice, merge with Mid Suffolk or continue with some independence and full sovereignty. Fearing an Anschluss from the north, Babergh residents quite rightly eschewed the prospect of a full merger. As one of my constituents told me, “Every merger promises savings but ends up costing more!” If we want to save monies, let’s promote the Town Councils and consign the District Councils to history. That way we wouldn’t have decisions taken for Hadleigh by people who only visited Babergh’s second largest town for meetings. That way Babergh’s Local Plan wouldn’t envisage housing in Sudbury, Great Cornard and Hadleigh with the jobs going to the Ipswich fringe! And that way we would not have the ludicrous situation whereby although Babergh has more homeless than Mid Suffolk the homeless unit is based not in Hadleigh, Sudbury or Great Cornard but in Needham Market. Similarly if we look at the joint venture between Babergh, Ipswich and Mid Suffolk to process Revenues and Benefits we can see that it can only be described as a mitigated success. Three and a half years ago we were promised that it would be a race to the top with best practice migrating throughout the partnership. Prior to its inception it took Babergh 11 days to process new applications. In July this year it was taking 25 days to process new claims – so much for efficiency by joined up working. This is not a model we should be adopting. Let’s also make sure that devolution does not provide an opportunity for our own civil service to expand with jobs that have no interface with their external constituencies (i.e. our residents) but instead let’s continue to look for those services which could be better outsourced or eliminated as unnecessary or as unaffordable luxuries, For example, where is the wisdom in directly employing community psychologists whose achievements are planning and co-ordinating conferences and supporting staff to learn and develop their skills alongside colleagues and service users? How many similar non jobs are there which are filled by very professional, very capable and highly paid people which we could do without on the present basis? 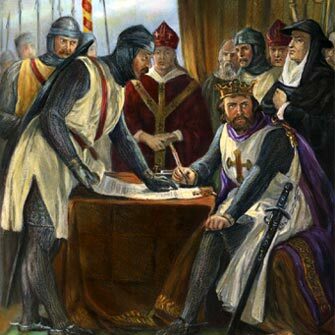 King John signing the Magna Carta. Devolution is not an excuse to increase taxes and impose a heavier yoke of government upon our residents. This is why in 2008 the people of Hadleigh declined to be included within Greater Ipswich a.k.a. North Haven. Instead it is an opportunity for us to change the way the system works. Let us take the powers offered to us and let’s focus on our towns, (the source of our wealth), let them develop at their own pace, encourage them to promote jobs before housing and so let them as a hundred flowers bloom and thrive.